Breastfeeding families are encouraged to breastfeed onsite. Families and employees are provided a non-restroom space to breastfeed or pump. 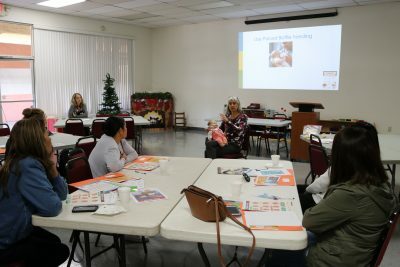 Provide employee training to support breastfeeding. Train all employees on breastfeeding-friendly practices. Include: benefits of breastfeeding, handling and storing breast milk, paced bottle feeding, creating a breastfeeding-friendly environment, policy, and parent support. Implement proper storage, handling, and feeding of breast milk. 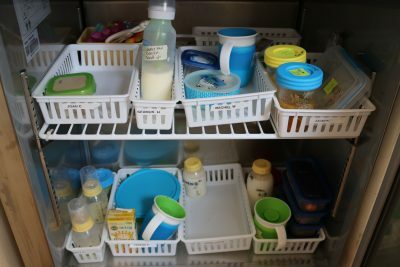 Provide refrigerator and freezer space for storage of breast milk. Instruct breastfeeding families on how to properly label and store breast milk. Provide an individual feeding plan for all infants under 18 months. Adopt written policies supporting breastfeeding families and employees. Adopt a written policy and communicate it to both breastfeeding families and employees. Provide appropriate break time for employees to pump or breastfeed. Offer breastfeeding resources to families and employees. Provide breastfeeding resources for families. Provide breastfeeding resources for employees.